After making it across Kenya and Zambia, I finally arrived at Harare after a 17 hour flight with 2 stopovers from London. Boy! was I glad to see a representative from the Meikles Hotel holding a sign with my name on it, waiting for me on arrival at the Harare International Airport in Zimbabwe. The Chauffer wheeled my luggage to a Meikles Hotel branded Mercedes Benz and we made our way to the renowned hospitality institution, which has hosted numerous celebrities including the king of pop Michael Jackson, members of the British royal family, presidents and Heads of States, The 5 star Meikles Hotel. 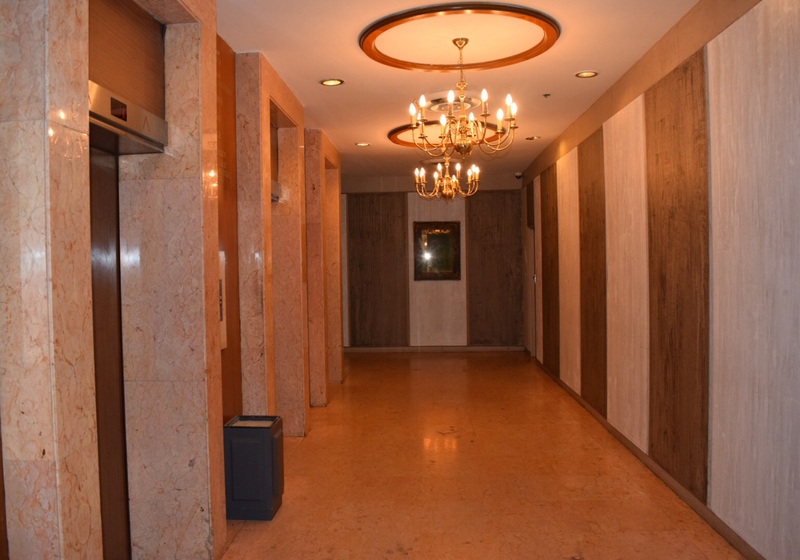 I made my way through the temporary security scanning machine, similar to the ones you have at airports and arrived at a grand reception and foyer area which was still resonance of the décor of the 1920’s around the era the hotel was built. The reception team were friendly and I checked in swiftly and made my way to the fifth floor, where I will be residing for the next 7 days. 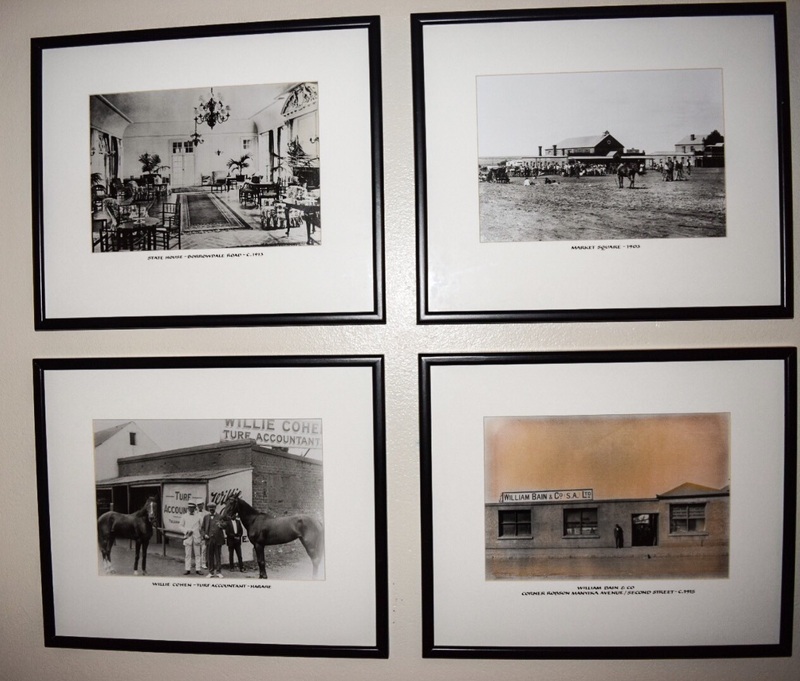 As I walked along the hallway, I was reminded of the history of the Hotel, as black and white photographs of the hotel adorned the walls, capturing the colonial era. 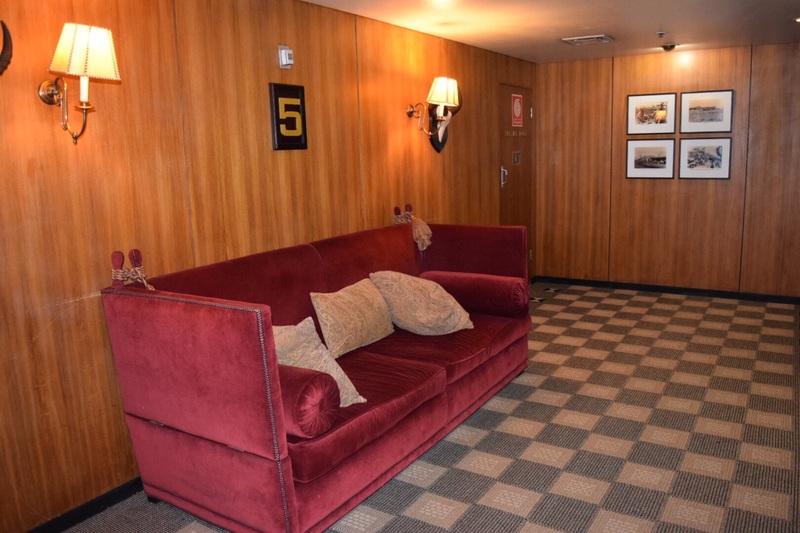 I arrived at the door to my room, I proceeded to open it and I was greeted by a huge sized room with a king size bed in oak wood and opulent antique looking wood furniture around the room, which blended in with the overall decor of the Hotel. The bathroom was a good sized and well stocked with branded toiletries and towels. I loved the Victorian taps, which were easy to operate compared to some futuristic taps you get in some hotels, you know the ones that take forever to work how turn on the hot water, or maybe it’s just me. Barely unpacked, I made my way downstairs as I was starving at this point and needed some lunch. 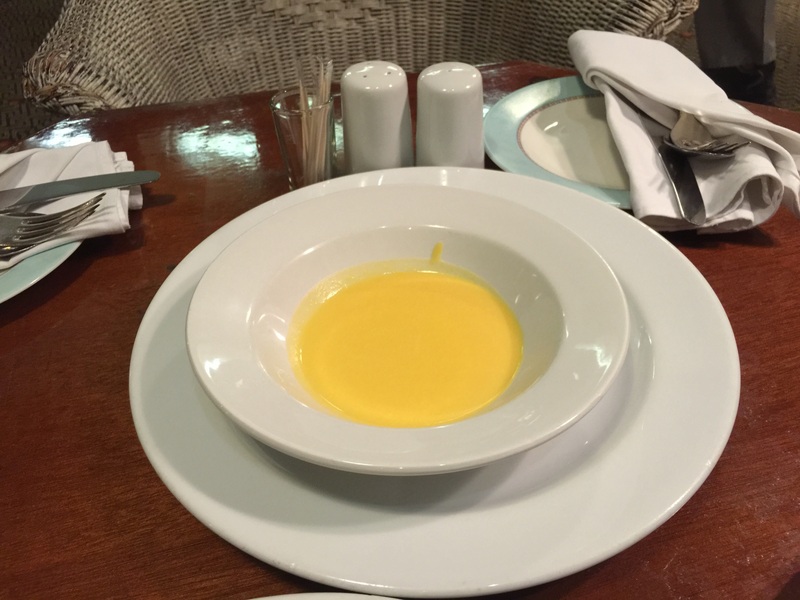 I went to the The Explorer’s Club, commonly called the Pub, where a buffet was provided. It appeared to be a meeting spot for business people having lunch during the day and somewhere to go for a beer in the evening. 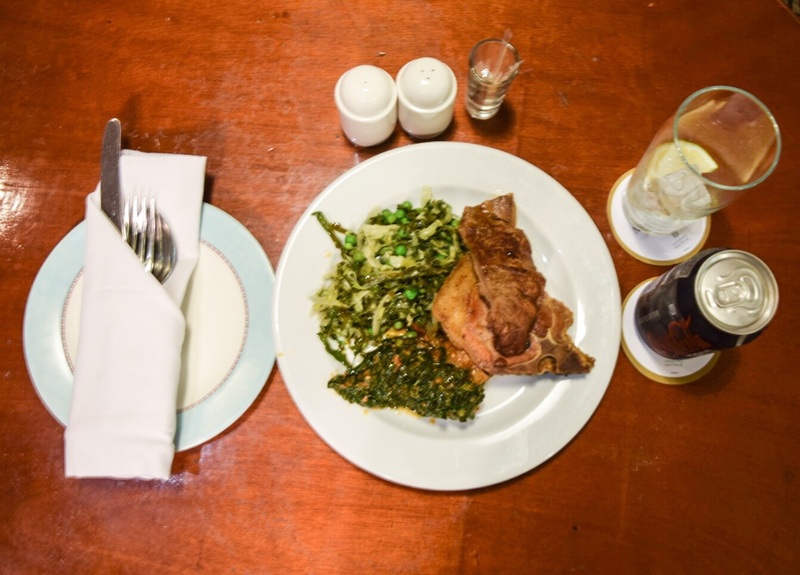 I initially went for what I was familiar with, vegetable and meat, which was satiating. I was persuaded by the stewardess to try Nhopi soup, a peanut butter and pumpkin soup, which I must say was not to my likely. Immediately after lunch, I boarded one of the Hotel’s taxis into town. First stop was to pick up my HIFA tickets at Harare gardens, which was only about 5 minutes away and I headed to Avondale to meet an Artist afterwards. My main mode of transport during my stay in Harare was using the Chauffeur service run by the Hotel, which was typically between $5 and $10 each way. Once I knew my bearings, I occasionally, walked up to town on foot which was safe during the day. I was advised not to walk alone at night. Bright and early the next morning, I made my way to the gym. I love turning up my fitness level while on holiday. So a gym is one of my criteria for booking a hotel. The gym was well equipped, but it was a little bit warm with no air conditioning functional at the time, the windows were open, but this was not sufficient. Visiting the gym became part of my daily routine during my stay. After my gym session, as I was going to my room via the grand hallway. I could not help but notice these large doors. 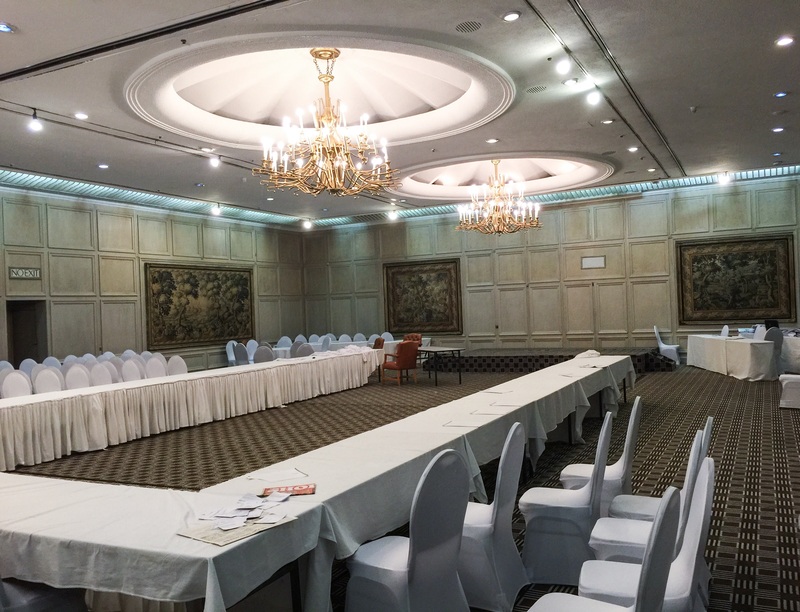 I peered my head through the doors and I was presented with these gorgeous conference rooms with monumental chandeliers. My third day at the hotel I decided to have breakfast before heading out, which was a buffet and specially made omelettes could be made on request. 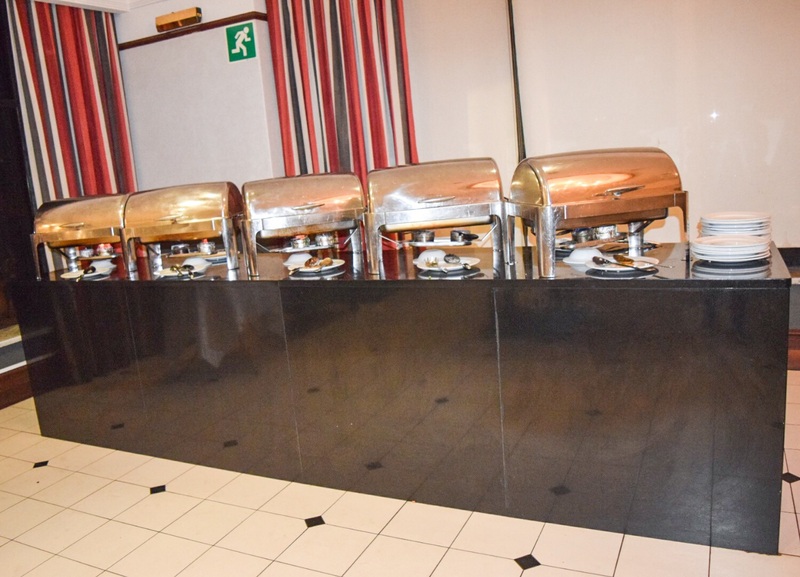 You can’t go wrong with a buffet, they catered for most taste buds, you will be hard pressed not to find something to satisfy your appetite. I opted for a selection from the Hot Buffet. 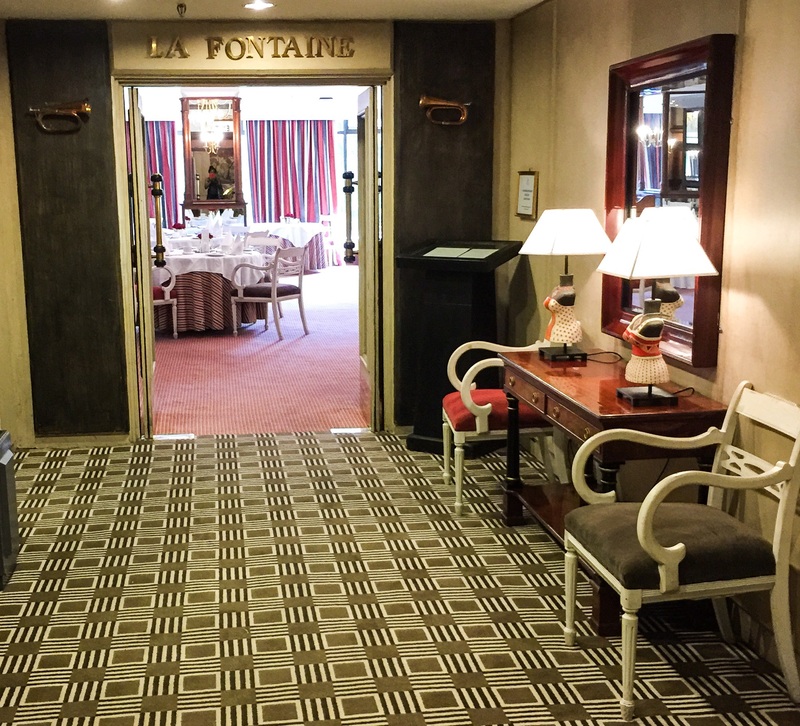 I had dinner twice in the renowned La Fontaine restaurant. The first night I was serenaded by music from the piano. There was a short black out during dinner but the waiters came with candles and made the experience romantic. 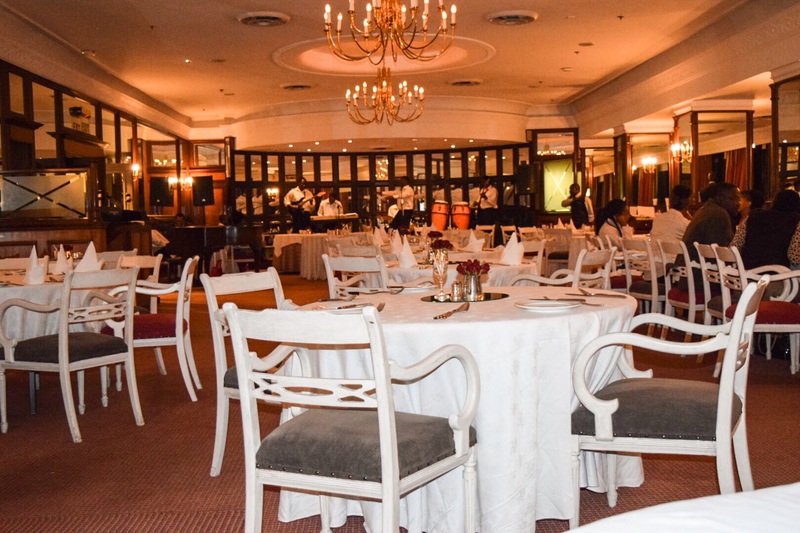 Imagine a candle lit dinner, with music in the background, what’s not to love:) La Fontaine restaurant remains one of the favourite fine dining establishments in Harare. There was a Buffet on offer and an a la carte menu to choose from. 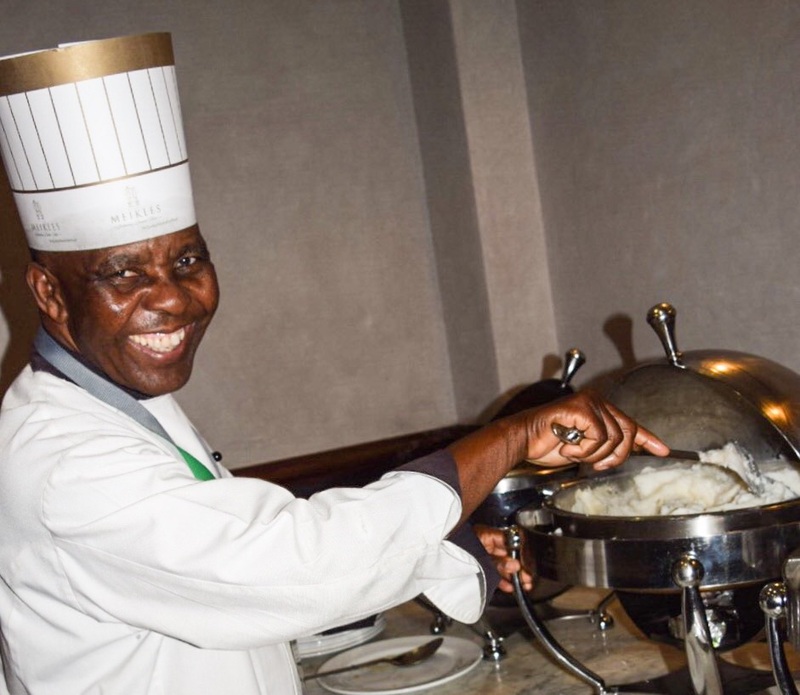 The chef making sure his culinary creations are at the right level with a smile on his face. I opted for a meat selelction and I deicided to try pigs trotters, which were surprisely soft, succelent and delicious. yum, yum:) I beleive in trying things at least once. Its like going to France and not trying frog legs. Have you tried pigs trotters? What was it like? Share your expereince in the comments section. On the 2nd occasion I had dinner with a live band playing, which made for an enjoyable experience. Here are some pictures and a short video clip for you to have insight into the nice music enjoyed. 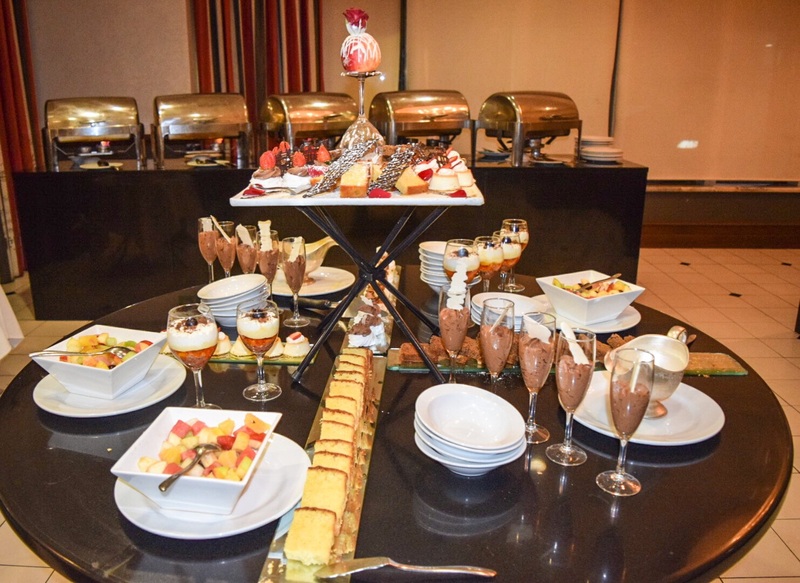 There was also a wide selection of delicious deserts to choose from. 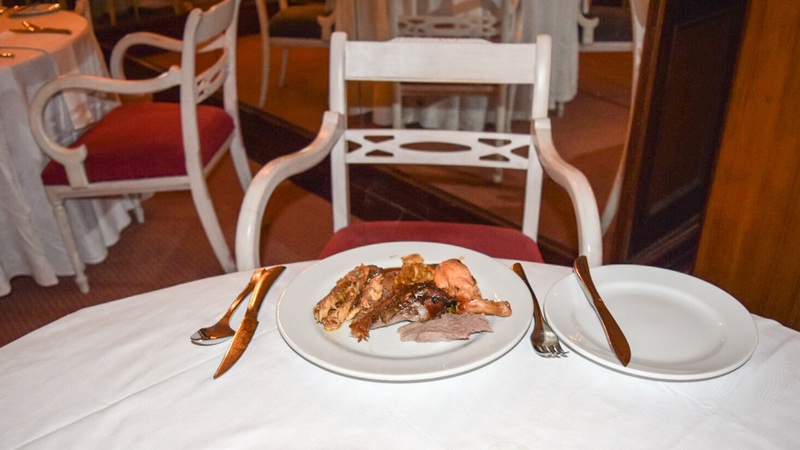 I decided to sample some food from the room service menu, as I was feeling a little bit peckish. I placed my order and the food was swiftly delivered. The sandwiches were scrumptious and desert was heavenly. My trolly of food, also came with a single red rose, which they also have in their restaurants, which I thought was very sweet. The 4th day of my trip, I went on a day trip to Bulawayo. I boarded an early morning flight with Air Zimbabwe and came back with the last flight. On arrival at the Miekles Hotel. I made my way to the Can Can Cocktail Bar to unwind and I decided to have a cosmopolitan. 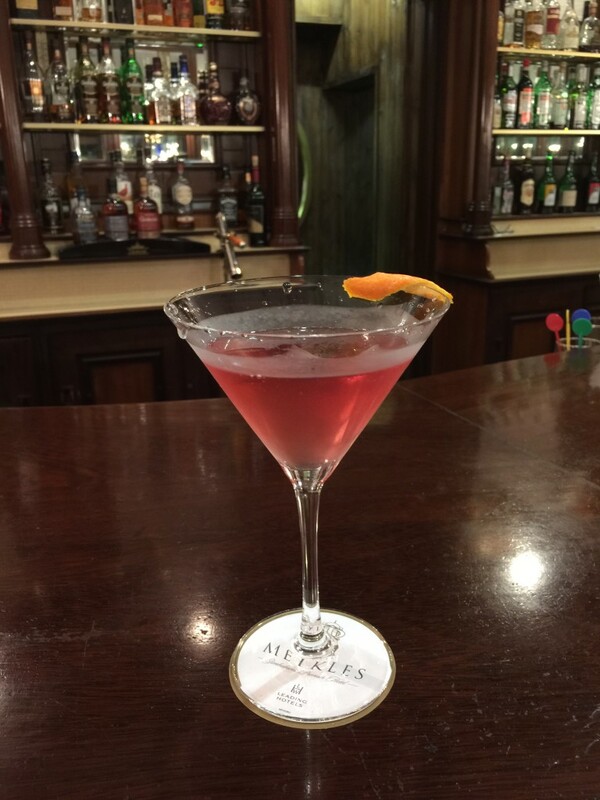 My oh my, it is one of the best cosmopolitans I’ve ever tasted and at $5 a glass, it was even more heavenly. I made sure I got my £15 worth, which is the price it would cost for a cosmopolitan cocktail in a fine establishment like this in London. I needed a spot of R&R so I booked into the spa for a full body massage and a relaxing session in the Sauna and the pool area. 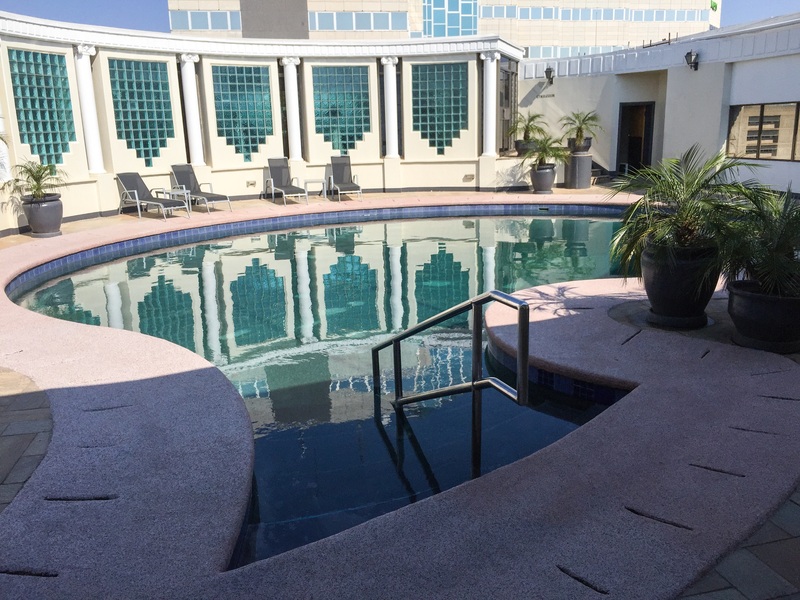 I made my way up some steep steps to the 12th floor and I was pleasantly surprised by the roof top pool, which was just at the right temperature. I hade a quick swim and made my way to the Sauna where the heat relaxed my muscles and got me ready for my full body Massage, which was very relaxing and at $30 for an hour’s massage I booked myself in for another session during my stay. The day’s flew by and my last day came around quickly. My flight was leavings at 2am and the hotel allowed me to stay up to 5pm free of charge, which was 6 additional hours after normal check out time. This was delightful, which meant I could have a lay in and potter around before my final HIFA event and my departure immediately afterwards. Meikles Hotel paid addition to detail on every level. You couldn’t help but be constantly reminded you were at the Meikles. 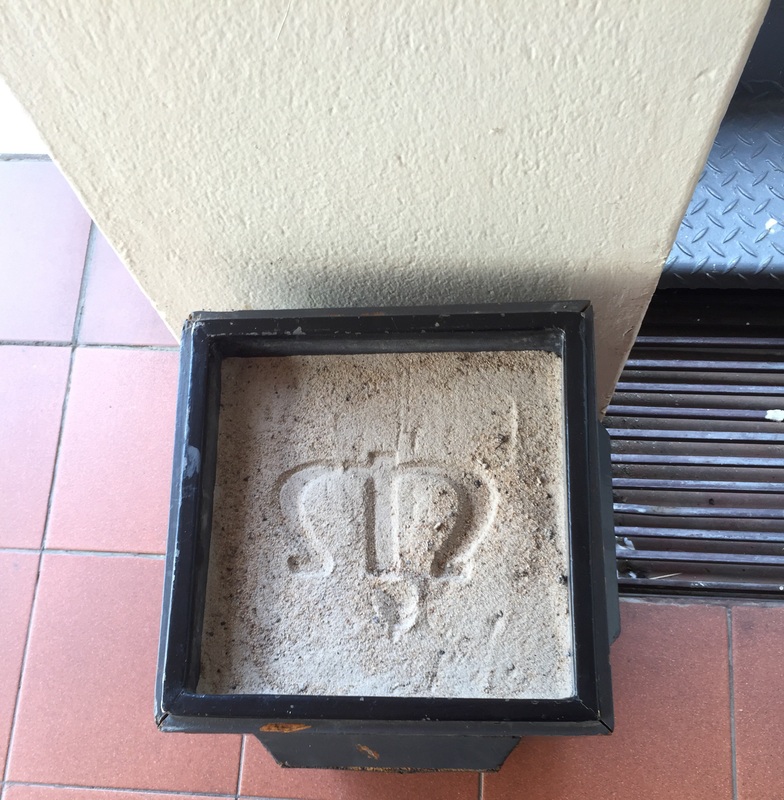 I love the way they have their logo in the cigarette receptacles dotted around the hotel. 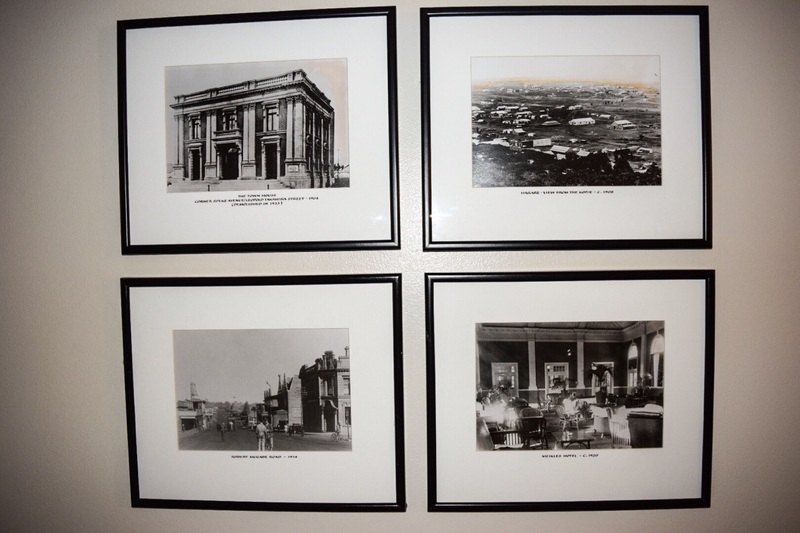 Meikles Hotel started operation in 1915, which has become a landmark in Harare with guests visiting from all over the world. It has grown to having 312 rooms and still offers old fashioned quintessential service today. 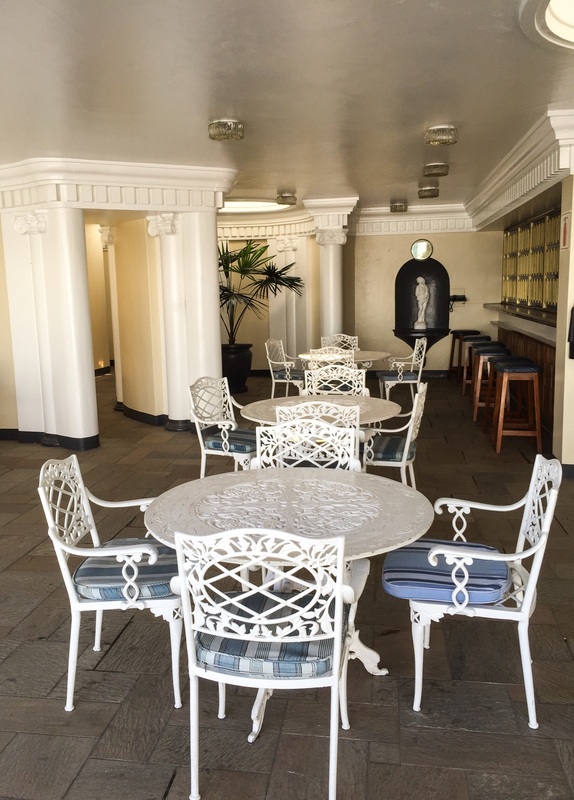 Meikles Hotel has been consistently voted the Country’s best city hotel since 1993. It has also been a member of the leading Hotels of the world since 1995 which represents 450 luxury hotels in 83 countries. In November of 2015, Meikles will be celebrating a century of existence. 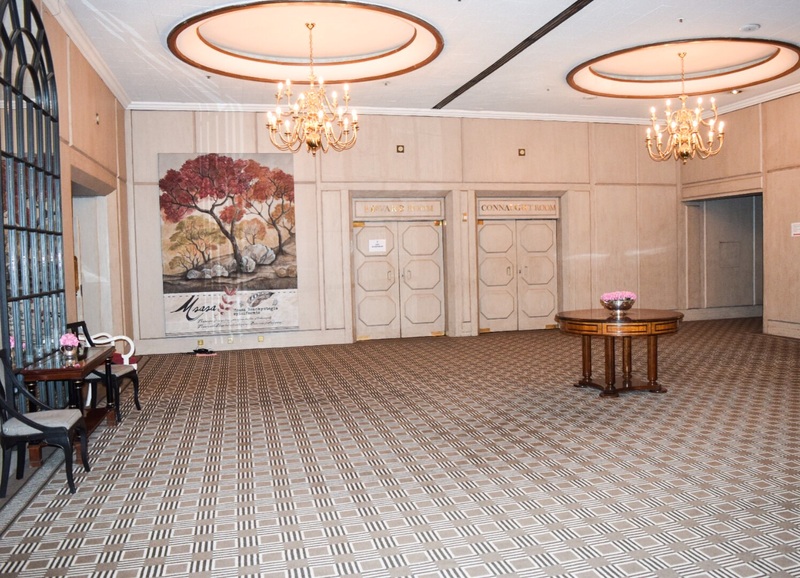 If you are looking for opulence and a relaxing stay or you are on a business trip in Harare. 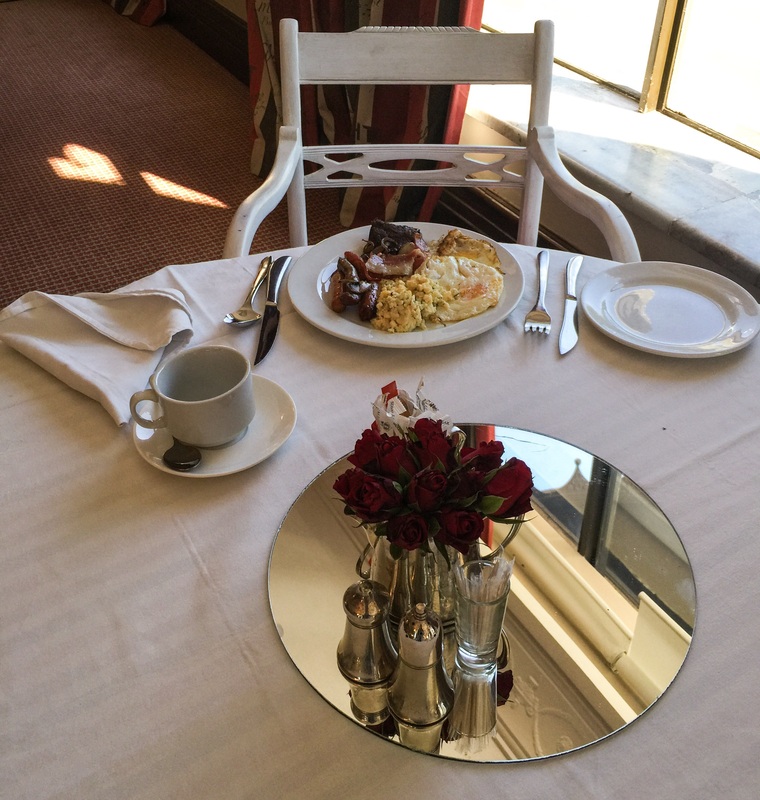 You cannot go wrong with The Meikles Hotel. At the time of booking a night cost $230 USD. Please refer to the hotel’s website for current prices. Have you been to this fine establishment? Are you planning to visit Harare? Please share and comment. Click here to read about an interesting 80 year old artist I met during my visit to Harare.